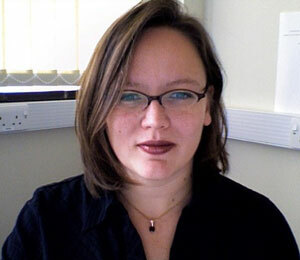 (Nanowerk News) Michelle L. Oyen of Cambridge University Engineering Department will present the talk ”Probing the Soft Side with Nanoindentation Techniques” on Wednesday, March 24 at 3 p.m. in Maryland Hall 110. Dr. Oyen is a lecturer in Mechanics of Biological Materials in the Mechanics and Materials Division and the Engineering for the Life Sciences group at Cambridge University. This seminar is hosted by Professor Tim Weihs and the Johns Hopkins University Department of Materials Science and Engineering. The talk is free and open to all Johns Hopkins faculty, staff and students. The mechanical properties of many “soft” materials are of interest for biomedical applications, including both natural tissues and hydrogels for tissue engineering applications. In the last 15 years, nanoindentation techniques have gained prominence in the mechanical testing community for three reasons: first, the fine resolution in load and displacement transducers, second the fine spatial resolution for mapping local mechanical properties, and finally the relative ease of performing mechanical testing. In the current studies, we extend the scope of nanoindentation testing with commercial indenters to quantitative measurements on kPa materials. Different forms of the material constitutive response were considered with an emphasis on time-dependent viscoelastic or poroelastic deformation. Applications are the considered for hydrated tissues and hydrogels including articular cartilage, bone and mechanically graded hydrogels. Further investigations using adaptations of these nanoindentation techniques examine nano-scale adhesion and mechanical outcomes in stem cell differentiation. This study demonstrates the potential for high-throughput mechanical screening of soft materials and for mapping property gradients in inhomogeneous materials as these approaches can now be extended to materials in the kilopascal elastic modulus range.